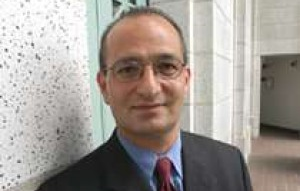 Hamid Behdad is the director of reuse projects in the downtown Los Angeles area. He also founded the Central City Development Group (CCDG) using his skills and creativity to renovate numerous complexes. Behdad is a master at turning old or abandoned commercial real estate into residential and multi-use complexes. His work with the Medici loft district located in City West won the Downtowners of Distinction award. The Medici, comprised of 600 units, was one of the earliest luxury housing developments in the Downtown area. The Pegasus is the newest development led by Behdad, located off Flower Street in the Historic Core. This 322 unit loft is the result of a renovated Standard Oil Building. Behdad overcame several obstacles to obtain licenses and permits for his many projects. His knowledge of the area and requirements are impressive. These accomplishments along with his numerous other reuse efforts won Hamid Behdad the title of Downtowner of Distinction for the Historic Core in Downtown Los Angeles. Behdad received the Downtowner of Distinction award at a ceremony held on October 29, 2013. There are 15 districts in Downtown L.A. and the leaders of each chose the winners based on the positive impact he or she made on the Downtown community. Behdad’s work through the CCDG and his continuous improvement efforts led him to this well-deserved distinction. Renovation projects like those of Hamid Behdad make lasting impacts on the Downtown Las Angeles community. The housing projects created from current commercial buildings provide comfortable living spaces to thousands of local workers in an area that was highly populated by businesses but previously held very few places to live. There are over 4,000 units in production in the Downtown area. With the addition of lofts, Downtown can grow to include retail stores, parks, sidewalks and other residential activities for the local community where only warehouses and distribution centers previously stood alone. The cost to the community for these projects is much less as the buildings are currently standing and simply repurposed. The community doesn’t have to pay to tear down old buildings or to build new ones and the spaces already there are not wasted. The economic impact of these projects is immeasurable. People can spend time in the well-preserved Historic District again. Family and individual housing will bring life back to Downtown L.A. and brighten the streets of the city. Some of the other community efforts led by organizations in the area include clean-up and activities or events in the Historic District. These efforts coupled with Behad and the CCDG’s loft renovation projects will make Downtown L.A. a positive place to live, work and raise a family.